Experienced real estate investors know it’s always a good sign when construction starts up again. Dormant periods are caused when the economy is so low that developers know home buyers are scarce and unable to pay for such a large purchase at the time. When the economy turns around, home building begins once again and the sales start to increase. Investors see this as the perfect opportunity to purchase homes for a low price and then turn around and rent those same properties as the income goes through its cycles. If you are interested in building an income source like this, then you may want to rent out your current home and purchase another one. As long as you have the income foundation to support the purchase of another house, then this is a worthy consideration. Not only will you have the steady stream of rent to make the mortgage payment and help you earn money, but it will give you additional tax deductions. These are not available to renters alone and the more properties you own, the more tax deductions you have at your fingertips. Another option is to build a multi-family residence building and rent out each portion. This allows you to maintain control of the entire property but not have to deal with several locations. For some, this is an efficient way to own property inside the city limits and yet not rely on a single renter for the building payment. Keep in mind that better tenants are drawn to great landlords. The more you pay attention to their requests and demands, the more long-term renters you’re going to acquire. As far as amenities for these rented locations, keep the local area in mind. What items are offered through public services and which are not? For example, is there a local pool the residents enjoy using? If not, is it worth it to add a pool to your multi-family location? This would attract more families, but you may also end up paying more in insurance in maintenance costs. However, if your renters stay for the full lease time, you’ll be able to earn back your original investment with the pool. While you’re perusing the available properties in your area, keep these thoughts in mind. It will help you be more effective at choosing the right location and making money on a consistent basis. Investing in real estate means you should diversify your efforts and not depend on one single family to help you make your payments. 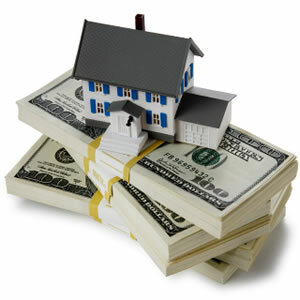 If you do follow this real estate rule, you’ll be more successful and have less to worry about financially.